In the spring time, my preference for blush colors moves from mauves and nudes to corals and peaches. I like that pop of color on my cheek: sometimes more subtle, sometimes more intense. It just adds a nice fresh look and still goes with many different looks. 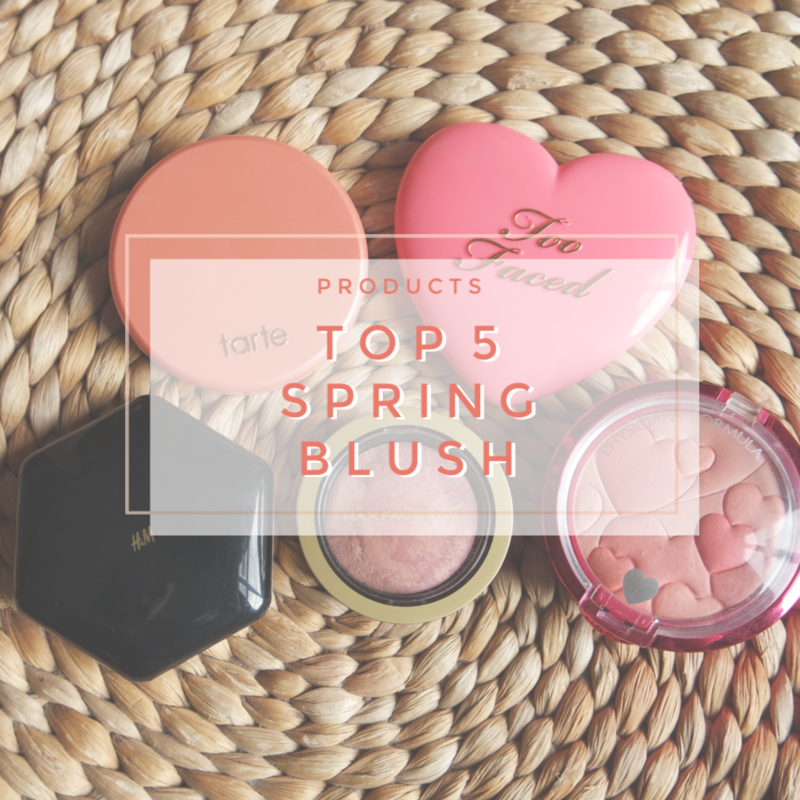 These are my 5 blush picks fro the spring time. Tarte Amazonian Clay blush Achiote – Tarte blushes are renowned for a reason: they swatch like hell, but on the cheek they are some of the longest lasting and the colors are stunning. Because these are difficult to swatch they may not always look the best at first glance, but these blushes work best once applied to the cheek. Achiote was the first Tarte blush I bought and was my ‘bright’ pick from the line up. It is a really nice peachy coral shade and is fully matte. H&M Beauty blush Cantaloupe – H&M beauty has some stunning blushes that many more people should know about. So I talk about them as much as I can, because more people should use these. Cantaloupe is a very soft peach shade that looks very natural. This is a great one for a softer, more natural look. It has the teeniest amount of sheen to it, which makes me like this blush even more. I usually don’t like shiny blushes, but this is a welcome exception. Too Faced Love Flush blush How Deep is your Love – The status of these blushes is a bit unsure as they seem to be discontinued, but at times you can still find these. This shade is still available as far as I know and it is one that I really like. It is one of the brighter options in my blush collection and I really like this one for that bright poppy look. These blushes are fully matte and thus they are very nice to combine with other cheek products and they are very longwearing. Physician’s Formula Happy Booster – If you saw my blush declutter you will have seen me decluttering this blush. The only reason why I decluttered it? Because it looked too much like something else already and because this is a bit old. I bought this years ago on one of my trip to the US and so it was time to go. Yet, this is a stunning product. It looks cute with the heart shaped print, but the product itself is great too. It is great for a subtle natural flushed look. Max Factor Cream Puff Blush Seductive Pink – The final blush I want to talk about is very similar to the Happy Booster, but this one is pink rather than a soft red. I am not a huge fan of pink blushes, but in the spring time I think it can be quite pretty. This is a very subtle, rosy pink and it therefore is a very natural option for the cheeks. 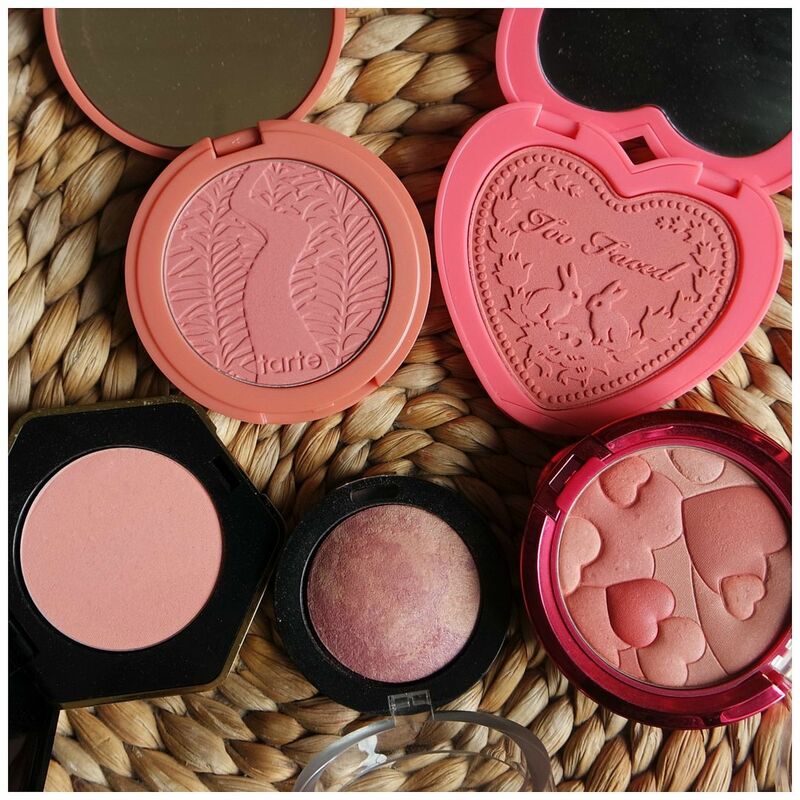 What blush do you love to wear in the spring time? I have also some pretty ones. That is a very popular one too. I am not a huge fan of MAC blushes myself.